We stopped by the east boat launch at the Apple Valley Lake this evening to enjoy a gorgeous sunset. While we were relaxing at the lake I was able to capture a few 360 degree images from the boat launch docks using my spherical 360 degree real estate camera. The east boat launch is a popular location for boaters because it is an especially easy place to access the lake and there is lots of space for parking your truck and boat trailer. I love this location for an entirely different reason...it is one of the 2 best locations at the Apple Valley Lake to capture amazing sunsets all year long. The summer weather and the warmer lake water temperatures have arrived a bit earlier making it the perfect time for fun in the sun at the Apple Valley Lake. Boats and jet skis are on the lake, the big fish are biting and there's activity happening at all 3 beaches. During the week the Apple Valley Lake almost feels like you have the entire lake to yourself other than a few fishing boats and the lake has been smooth as glass. The sunrises and sunsets at the Apple Valley Lake are seriously amazing. Part of what makes Apple Valley so great for experiencing spectacular sunrises and sunsets is that there are so many unobstructed areas where you can see clear across the lake. 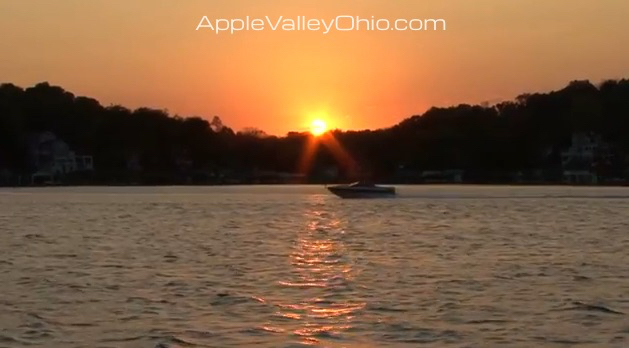 This particular boating and sunset photo happened during a community video shoot at the Apple Valley Lake. 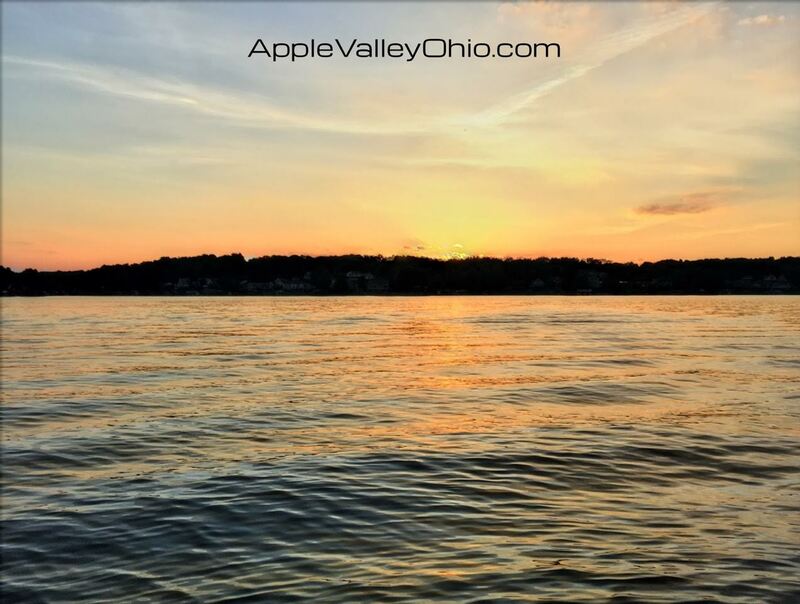 You can view and compare all of our Apple Valley Lake homes for sale and we have also created a specialized link that features all of our available Apple Valley Lake lots for sale organized in price order for quick and easy viewing. A colorful lake reflection at one of the popular fishing coves at the Apple Valley Lake. This photo was taken from the edge of Lakeview Heights Subdivision overlooking the beautiful trees at the Green Valley Subdivision. If you love to fish or just want to enjoy a little quiet time on the lake this is usually a great spot to relax. You don't see a view of the Apple Valley Lake quite like this one. A photographer who I had the pleasure of working with captured a handful of aerial photos of the Apple Valley Lake and his shots captured a unique perspective. Instead of flying really high and capturing the typical view of the lake from end to end he focused on capturing images that were closer to the lake which added a really neat look and feel. 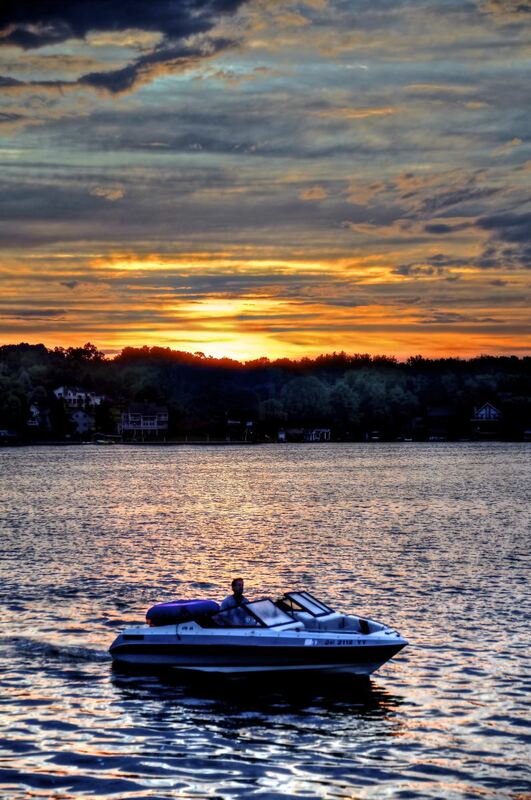 The boating activity on the Apple Valley Lake during the week is typically calm and peaceful making it great for those who love to relax and enjoy a little quiet time. I took this photo from the edge of Sutton Beach which is located near the front entrance just off of Apple Valley Drive on Baldwin. 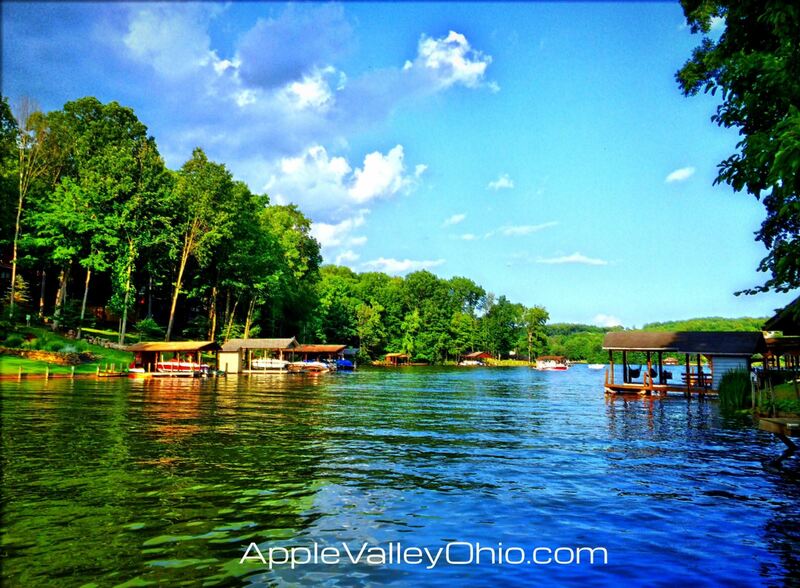 The location of Sutton Beach is less than 1 minute from the main entrance of Apple Valley on Coshocton Road. The cloud activity over the Apple Valley Lake was incredible at King Beach while I was taking this photo. This is one of my favorite locations at the lake to capture because sunsets because this site features an ultra wide unobstructed view across the entire Apple Valley Lake. 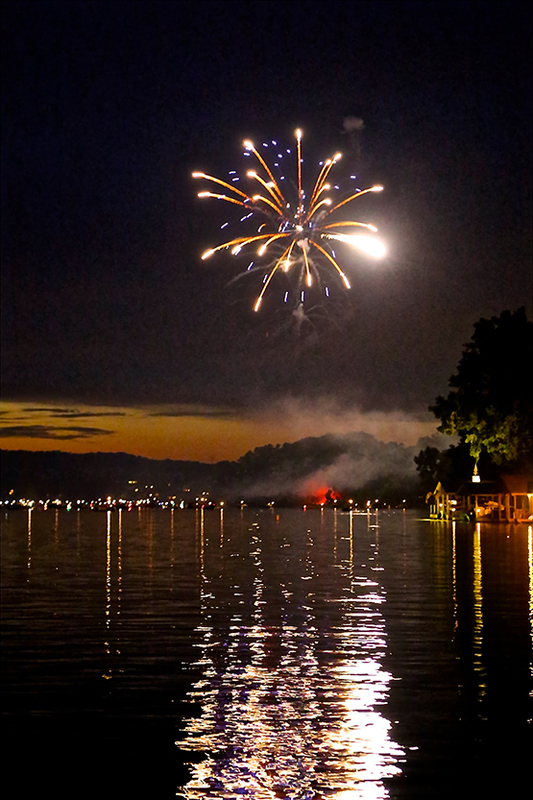 The Apple Valley Lake was a very active community during the past couple days as we celebrated the Fourth of July over the weekend with lots of fun festivities. We were treated to some of the best fireworks that we have ever seen at the Apple Valley Lake and the weather and sky were clear and beautiful making it ideal for picture taking. Boating at the Apple Valley Lake is a spectacular experience especially during the week when you typically have the lake almost all to yourself. I took this photo right before sunset as a boater was bringing his boat into the east boat launch after a little evening time on the Apple Valley Lake. 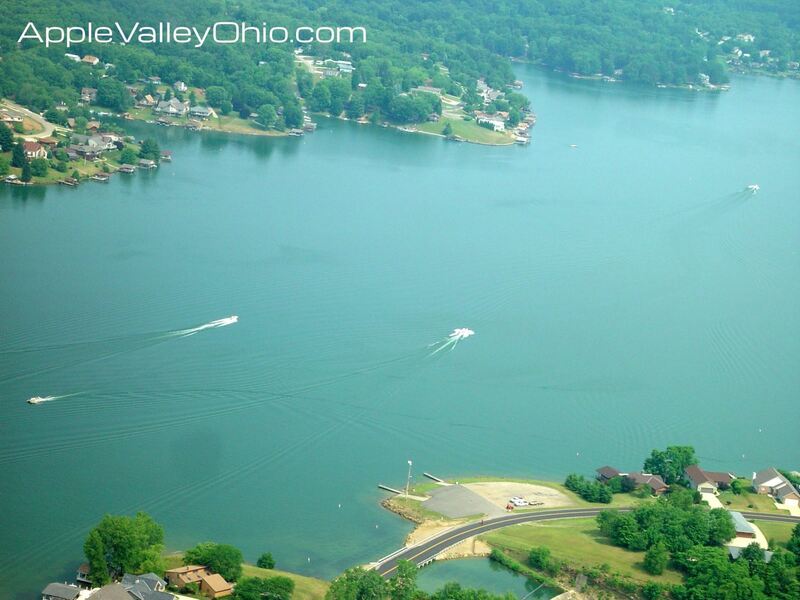 Feel free to view and compare all of our available Apple Valley Lake homes for sale. If you are in the market for a vacant lot or a building site be sure to check out our available Apple Valley Lake lots for sale. 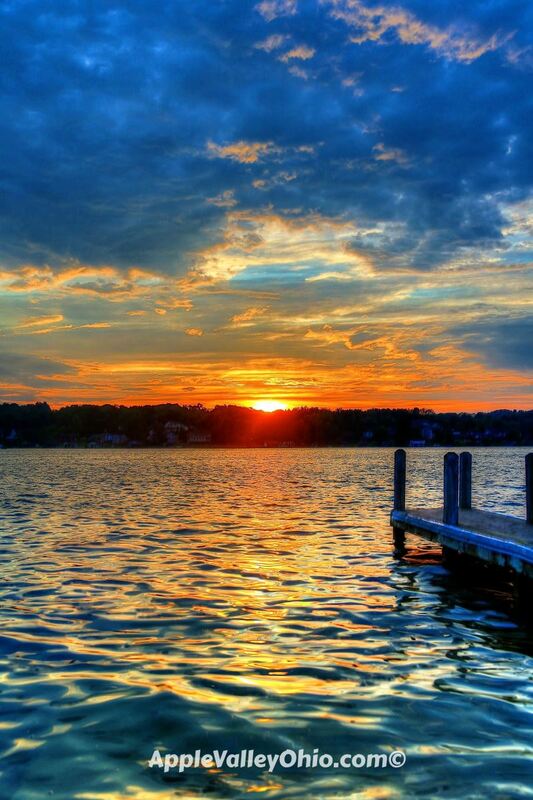 I took this photo on June 30th, 2013 at the Apple Valley Lake in Howard, Ohio. The east boat launch near the spillway is one of my favorite locations for capturing seasonal sunset photos at the Apple Valley Lake.